Nodame's hands dance across the keyboard as she plays Scarlatti. The third anime season of Nodame Cantabile picks up where Nodame Cantabile – Paris left off. For those new to the franchise, I highly recommend starting with the first season, which introduces the various characters, and is a beautiful work of art, in terms of the story-telling, and the visual presentation, but also in terms of the musical performances. The review that follows, although avoiding major season three spoilers, makes no effort to cater to those who are unfamiliar with the franchise. Although an additional OVA has been announced, this is the final full season of the anime version of Nodame Cantabile, so it is appropriate to consider, is this truly the finale that the anime deserves? To put it directly, this wasn’t a bad ending; it was neither overly vague, nor utterly predictable. Nodame Cantabile – finale (hereafter referred to as NC:Finale) carries a heavy burden, in concluding a much beloved series, and in following the first season, which was absolute genius. For an average series, I’m sure I would have been much more impressed, because NC:Finale started off no better than the second season (Paris), but really found its footing mid-season, and ended pretty strongly. Nodame Cantabile season one was a masterpiece. Music performances were given the opportunity to run on long enough to have an impact. Performances in Paris and the first half of NC:Finale seem too short in comparison, and don’t leave a lasting impression. Performances were often accompanied by interior monologues of characters in the audience, giving expression to what they were hearing. 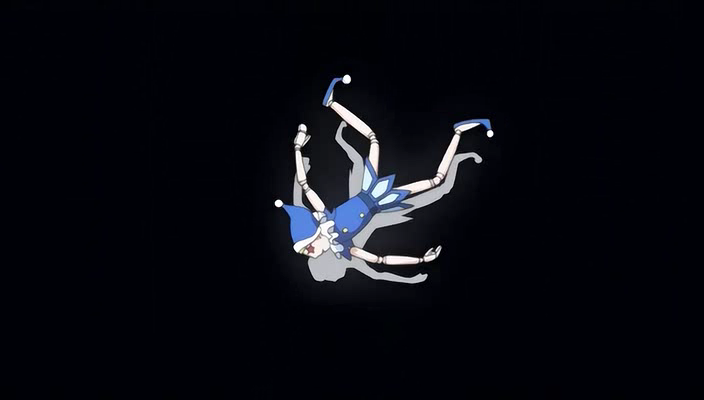 Sometimes the monologues contextualized the music with historical information, sometimes the monologues were related to technical aspects of the performance, but the effect was to give the anime viewer a greater understanding of the interpretation (good or bad). These voice-overs are common in shoujo anime, to give voice to the character’s emotional state, but their use here both added emotional and intellectual coaching on how to respond to the performance. Seasons two and three rarely had performances that were long enough to indulge in this practice. Most importantly the performances in the first season were almost always critical events. That is, the performance was not just something that incidentally was presented because the show is about the lives of people who happen to be musicians. Examples from season one are numerous, but a perfect exemplar would be Nodame’s performance of Stravinsky’s Petrouchka, which starts at the end of episode 21. A mid-performance cliffhanger! Watching the continuation of the performance (episode 22) was horrifying, and made me feel vaguely sick. Fortunately the latter half of NC:Finale had a couple of emotionally wrenching performances, moments where the musical performance seemed to be, or signify, an important plot event. 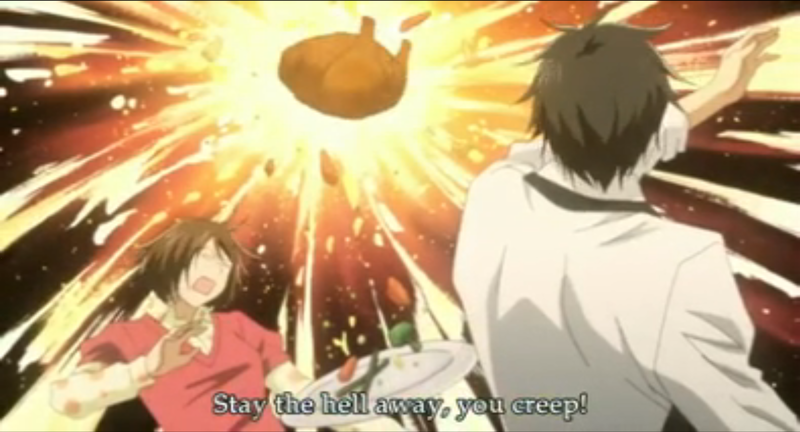 Nodame and Chiaki still have problems with their relationship. I know it is somewhat unfair to criticize NC:Finale so much for not living up to season one, and I don’t want to leave the mistaken impression that I did not enjoy NC:Finale, but I dare anyone to go back and re-watch the final two episodes of the first season of Nodame Cantabile, and then honestly compare it to the final two episodes of NC:Finale. I think what you will find is that the first season ending had a greater range of emotional expression (horror as Nodame blows the Maradona competition, Nodame’s despair, occasional laughter, Chiaki’s triumphant final performance with Rising Star, his frustration that, with everything he always wanted now within his reach, Nodame was no longer there to share it with, and of course the surprise reunion, and the promise of a future together in Paris. In contrast, NC:Finale has … well, I promised no third season spoilers, but I think the dramatic tension revolves around two issues; it just doesn’t have the complexity or intensity that the ending to season one had. In conclusion, I want to make my position clear. NC:Finale is not bad, if it weren’t for the fact that I am comparing it to a really great show, that had a killer “ending”, I might say that this was a good show, and you should watch it. I would probably be saying that it ended strong. But how I really feel is that, if you haven’t watched season one, there is no point watching this. In fact, if you watched season one and felt satisfied, you can safely stop there, as season one is very solid as a stand-alone story. If, however, you watched season one, and heard that Paris was unsatisfying, or that manga readers were unsatisfied with the ending, do not let that stop you from watching more of the show, because Paris and NC:Finale together make a pretty satisfying conclusion to a deservedly beloved series. Shame it was only 11 epsiode. this ending could’ve been much better. Very anti-climatic. But the rest of the season was pretty great, so it gets an 8/10. I’d love to see a continuation someday. There is supposed to be an OVA coming out, but I doubt we’ll see another season, as the mangaka has officially ended the series. There’s supposedly a chapter due out called Opera-hen. Not sure what it’s supposed to cover, whether it’s an extended epilogue, and I agree it’s unlikely we’ll get any new seasons out of it, but hopefully it’ll provide enough material for a few additional OVAs after the one that comes out this spring.